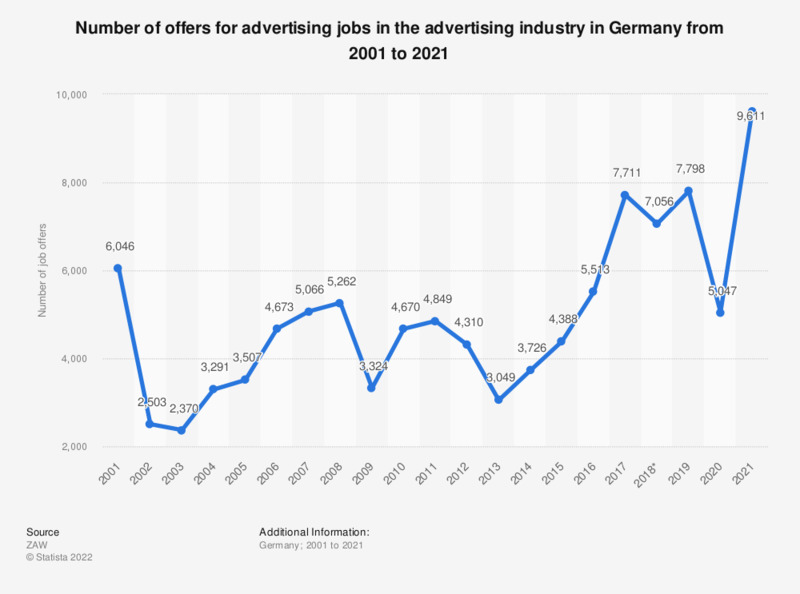 This statistic shows the number of offers for advertising jobs in the advertising industry in Germany from 2003 to 2018. In 2018, the ZAW registered more than 7,056 vacancies for advertising jobs in the industry. *Due to changes to the data basis of ZAW figures for prior years are just limitedly comparable.